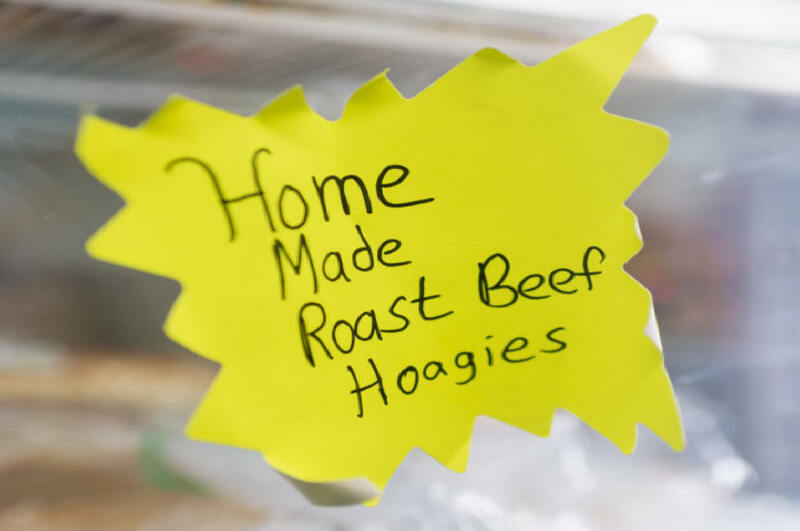 Last Store in Pittsburgh city limits to carry fresh hanging sides of beef . we have served the metropolitan Pittsburgh and surrounding suburban areas with fresh meat products since 1955. We are located at the intersection of Termon Avenue and California Ave. in the Brighton Heights area. Offering a full selection of meats, groceries and produce, specializing in our daily cut and trimmed FRESH MEATS. We are one of the few last stores to carry fresh hanging sides of beef. 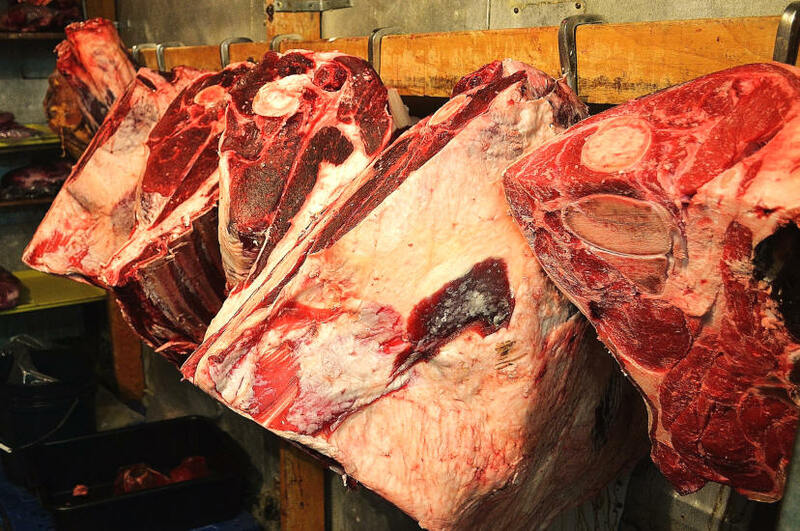 We select the finest corn fed beef for superior Marbling, Flavor and Tenderness. All of our meat is Cut and Hand Trimmed at our facility, including lamb and veal. All Exceeds USDA requirements. Our poultry is all Natural and Delivered ice-packed daily. As a premier professional butcher we purchase only quality beef form local suppliers. Certified Angus beef all natural, fresh and no preservative. All beef is inspected for wholesomeness by the U.S. Department of Agriculture (USDA), and is graded for quality and consistency. You've heard of Prime, Choice and Select grades - and Prime tops the grading scale. Marbling plays a big role in quality grades. Marbling - the little white flecks in beef - is key to flavor. The higher the amount of marbling, the higher the quality of beef. The Certified Angus Beef brand is incredibly flavorful, tender and juicy because of the high amounts of marbling in every cut. Sometimes life is too busy to prepare food at home, so stop by our deli department for some fresh options! We slice our deli meats and cheeses to order, make custom sandwiches to your liking and have delicious salads prepared every day. Our heat-n-eat meals bring convenience to a whole new level! If you're entertaining, pick up some healthy dips, cheese, vegetable and seafood party trays. For a quick family meal, swing by for a ready to heat and eat specials and HOMEMADE traditional favorites. 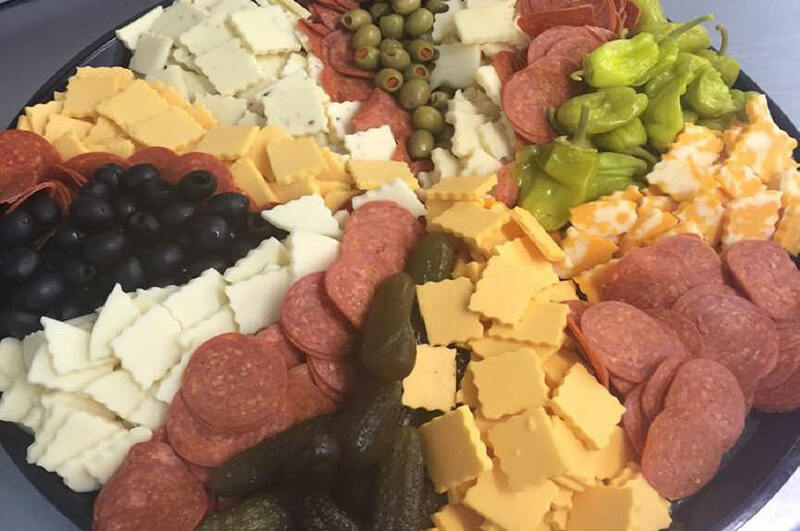 Our deli carries all types of cold cut meats, a large selection of cheeses, spreads and many of Tom Friday's HOMEMADE specialties made just for you. For any casual get together, Holidays, tailgating, picnics, family reunion and etc. Our Deli Platters offer delicious finger food in convenient portions. Veggie trays, Shrimp platters, sandwiches, pizza trays and more. Are you thinking of having a pig roast, call us to to supply you any size pig, stuffed and ready to put on the Bar-B. We provide many smoked items like Kielbossy, variety of sausages, turkey legs and more. 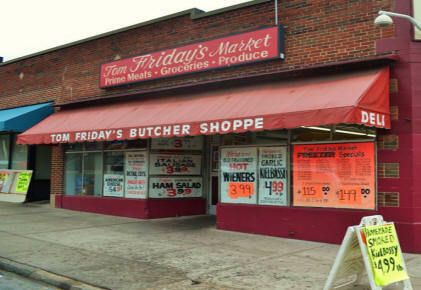 Tom Friday's Market reputation as a premier marketer of fine beef, veal and lamb products is built from commitment of quality and value as well as attention and service to our customers. Daily home delivery and customer satisfaction has been our goal. Fresh vegetables are available from lettuce, peppers, tomatoes and in season fruits. Start at our Deli. We'll get you back on the road. We are wing, and barbeque specialists. Featuring natural casing wieners, our famous ground beef burgers and anything in between is here for you. Three size options available. Pick what size fits you best. Get your freezer full. We will delivery your selection to your home. Don't forget we offer discounted pricing on sides of beef, cut to order, wrapped and delivered. Call for quotes. Is you alternative to the grocery chains. We offer a customized service of the finest quality of meats cut to order, all natural and the freshest we can offer. Homemade specialties and our own smoked items.